Jesus Christ is at the center of everything. We believe that Jesus is the only one who can reconcile us to God. He lived a sinless and exemplary life, died on the cross in our place, and rose again to prove His victory over death and empower us for life. We believe that Jesus Christ is coming back again as He promised. We believe in one living and true God, who being one in essence, exists in three distinct persons: Father, Son and Holy Spirit. The Persons of the Trinity possess the same divine nature, attributes, and perfections. They are equally worthy of honor, trust and obedience, and they carry out unique functions in God’s interaction with humanity. We believe that the Bible is the inspired Word of God and the primary authority of faith and practice for the believer in Jesus Christ. We interpret scripture through reason, tradition, and experience but Scripture is the final, ultimate authority. We believe humanity was created in the image of God to live in vibrant fellowship with Him. Through our disobedience to the will of God, humanity sinned and at that point, we began to experience the death brought on by sin. Humanity is born into sin and our sinful nature is present with us throughout our entire lives. This state of spiritual death is the reason for our need of salvation through Jesus Christ. We believe that we have broken our covenant with God through our sins, and that salvation is found only in and through the sacrifice of Jesus Christ on the cross. We believe all who trust in Him are declared righteous through the life, death and resurrection of Jesus Christ. We believe all who believe in Jesus are justified by grace through faith. Prevenient Grace - Grace from the moment of birth in which God meets us where we are. It literally means, “grace that goes before.” It exists prior to and without reference to anything we have done. Through prevenient grace, God is calling all persons into relationship and God gives us the freedom on whether we respond to His grace. Justifying Grace - Grace from the individual’s saving experience with Jesus Christ. This grace declares that we are saved, restores us to right relationship with God, and enables us to begin the lifelong journey of God restoring His image within us. We receive grace by faith and trust in Christ, through which God forgives and pardons us for our sin. “For by grace you have been saved through faith, and this is not your own doing; it is the gift of God, not the result of works, so that no one may boast.” (Ephesians 2:8-9) This grace cancels our guilt and empowers us to resist the power of sin and to fully love God and others. Sanctifying Grace - Grace throughout the rest of Christian discipleship. This grace empowers us to live Holy lives. God begins restoring His image in us as we seek to live a life pleasing to Him. Sanctifying grace is God’s grace at work in the life of a Christian to shape his or her life into the likeness of Christ through the power of the Holy Spirit. We continue to work out our salvation as we grow in faith. Sanctifying grace is where we figure out it is “not all about me” and begin to participate on God’s Kingdom here on Earth. This is where we grow in Christ-like love toward God and others fulfilling the Great Commandment. We believe in two “outward and visible signs” of the grace of God in human experience: baptism and Holy Communion. BAPTISM - Baptism is the outward sign of God’s grace that claims us as God’s children. The different methods for Baptism include sprinkling, pouring, or immersion. HOLY COMMUNION - Holy Communion, also known as The Lord’s Supper or Eucharist, celebrates the grace of God that is present with us as we share in the body and the blood of Christ, usually represented by bread and wine or juice. Our communion is an open table to all desiring a relationship with Christ. We believe all who have been restored by the Holy Spirit belong to the one true universal Church and are called to be a part of the Church - the Body of Christ. We believe the Church is present to do the work of God throughout the world through the power of the Holy Spirit. We believe we are called to lead others to saving faith in Christ and help them grow into fully devoted followers of Jesus Christ.  Have a question about what we believe at NEWSONG? Get in touch with a person on our lead team directly by clicking the button below.